I had some time to play in some fun challenges over the weekend. 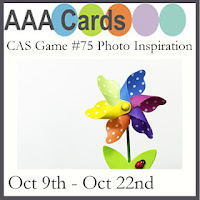 First up is a card inspired by the photo at AAA Cards #75. I was inspired by the bright and bold colors and the pinwheel shape. I inked up Quilted Summer for the very first time, remembering that the pattern of the quilt looked kind of like a pinwheel. 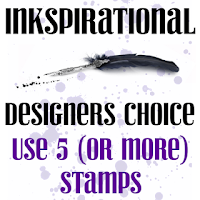 I am also linking this card up at Seize the Birthday: Anything Goes. 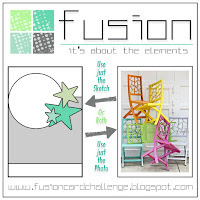 My next card is inspired by the photo at Fusion Challenge. I was inspired by the colors of the chairs in the photo. 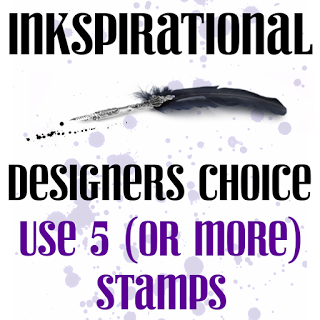 Inkspirational #119 asks us to use 5 or more stamps--1-flowers; 2-stems; 3-sentiment; 4-butterfly #1; 5-butterfly #2. All the stamps for this card are from the same set as the quilt card above. 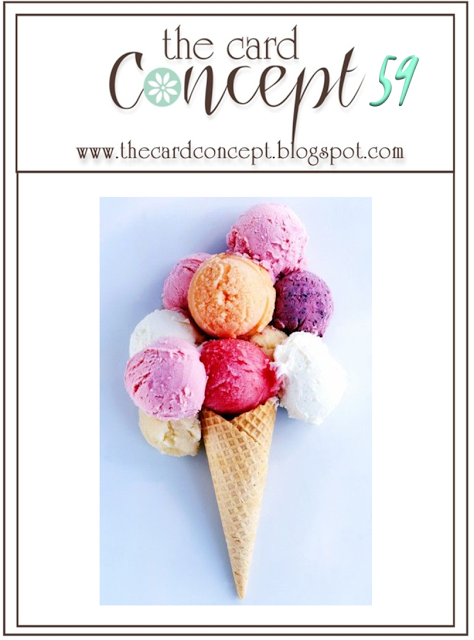 Ice cream is my very favorite dessert, so I needed to play along at The Card Concept #59. I used bitty dot paper in colors similar to the inspiration photo. 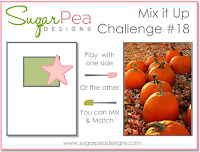 With 2 of my besties on the design team, it was only a matter of time before I got around to playing in Sugar Peas Design Mix it Up Challenge. I decided to play with the sketch. I cut a bunch of extra flowers--Bitty Bouquets, and stamped enough while my Misti was all set up to make a little card set. Always nice to have them on hand for last minute gifts. I am entering this card at CAS Colours & Sketches #194. I am entering this card at Addicted to Stamps and More #214: Clean and Simple. And one more card, just to round out the set. All sentiments are stamped in HA Soft Granite ink and are from various PTI Keep it Simple. Love your quilt...the challenge colors work so well. Thanks for joining us at The Card Concept! I always love it when you treat it us to a wonderful slide show of cards, Joyce. The cards in the set are so sweet and the ice cream is yummy but this quilt maker is enthralled with that card. Love the colors. You really got your crafty on!! These are all delightful Joyce. I LOVE the first one to bits! I really need that die!! Oh so much goodness in one post! Thanks for playing along with us at CC&S! Great job with the colors - love the layout and embossed background; perfectly CAS! Lots of lovely cards here but I was drawn to the quilt-look one. Great stamping -very bright and cheerful. So many fantastic cards, Joyce! All of your cards have such cheerful colors and I love the quilt block! Thanks for joining us joining our challenge at the Card Concept! Your darling card fit the challenge perfectly! Wow--you do make good use of your weekends, Joyce! I love them all, but I especially noticed the embossed sun in the background for the sweet flowers! What a great assortment of cards here! I like how you've kept the same design, but switched out the colors and the sentiments for the set of cards. I'm glad our CC&S colors inspired you for one of the set! Thanks for sharing your artwork with us. Wowzer, you have been busy making cards, amazing creations! Your card for our challenge is so delightful, I love the pastel colors you used for stamping and the whole card has sort of spring feel which is so refreshing now when the evenings are so dark and winter is on it's way! Thanks for joining us at Inskpirational! What an awesome set of cards. The one you entered into our challenge is fabulous .Love the embossed background.Thanks for playing along at ATSM. Beautiful collection of cards! The quilted, pinwheel card is so pretty! Fantastic colors and wonderful designs! Wow you did have a crafty weekend! Beautiful results! Glad you shared one at Fusion! You sure were busy Joyce! LOVE the colors of the quilted card! 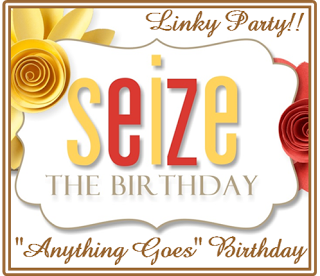 Thanks for linking up with us at Seize the Birthday! Wow! So many fabulous cards! OMG ! And I thought my WE were prolific! That's nothing compare to yours! And what a gorgeous bunch of cards ! 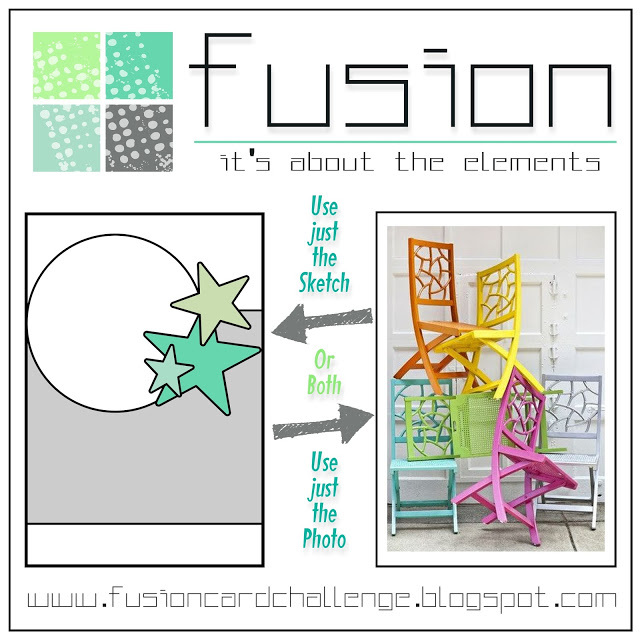 I love how you get inspired by all those challenge pictures, you show us very creative designs ! Thanks for sharing. 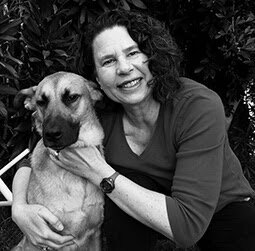 Joyce! 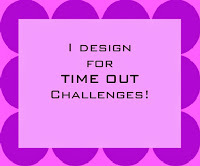 I am so behind in commenting outside of challenge blogs. I just love your crafting!!! First, your quilt card is AWESOME! and a fabulous take on the AAA inspiration. Thank you for playing the AAA Challenge. Your fusion card is wonderful. Love the embossed background and the way you "planted" your flowers. Who doesn't love an ice cream come? (that would have worked well for the AAA Challenge too). Love your set of cards for the Sugar Pea Challenge - love that you reversed the placement of the side accent. A wonderful bunch of creations!!!! An amazing collection of cards! I love the use of dotty DP for the ice cream cones. Such a great take on the theme. Thank you so much for joining us at The Card Concept. These are all so beautiful! You are very talented!! Fabulous colours Joyce! So glad you joined in the fun @ FUSION! Your card is gorgeous especially with the subtle embossed background. Another set of beautiful cards, Joyce! Love the texture of the 'quilted' panel - so elegant! So glad you joined us at SugarPea Designs Mix It Up challenge! Joyce your crafty weekend created some gorgeous cards! Love all the tiny flowers and lovely embossed backgrounds. Thank you for sharing with us at SugarPea for the Mix It Up Challenge!